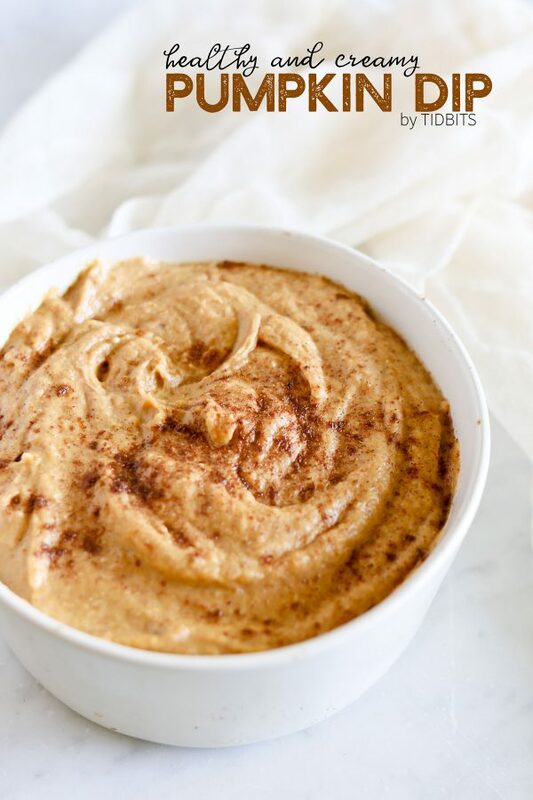 Smooth, creamy, skinny and healthy Pumpkin Dip! 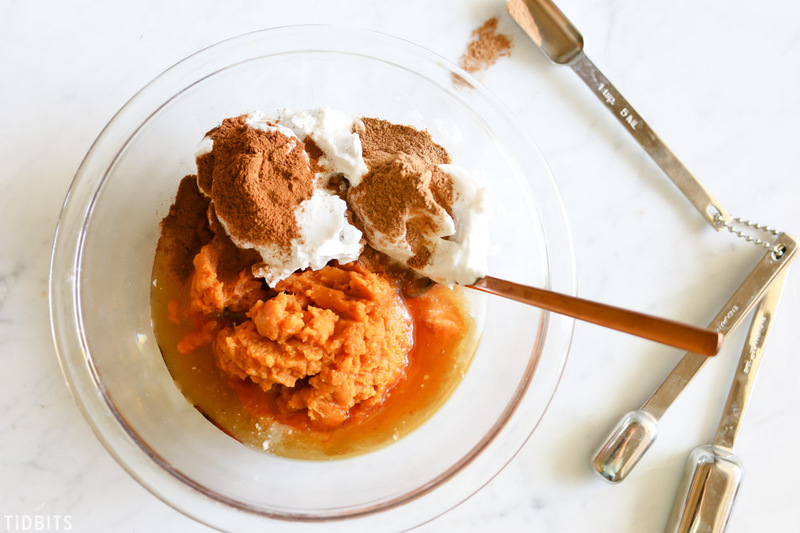 This vegan and gluten free version comes together with coconut cream, pure maple syrup, pumpkin, and your favorite Fall spices – easy and delicious! 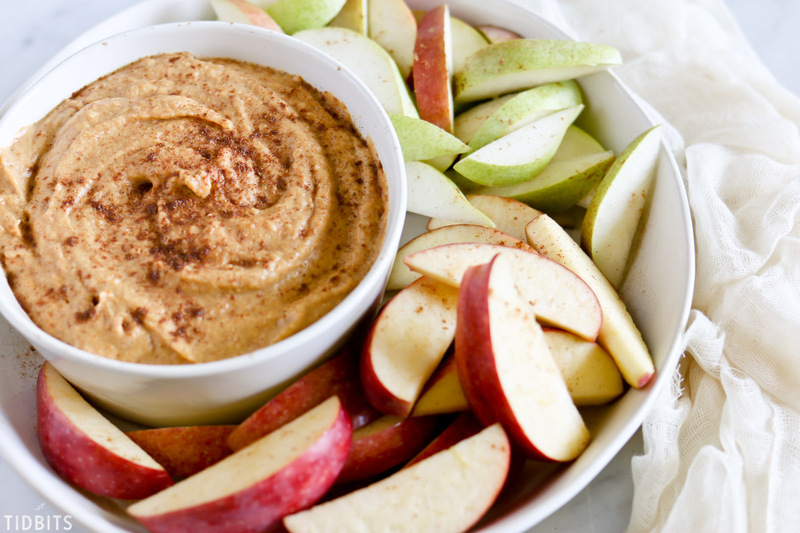 What to dip . . . what to dip??? There is nothing like good food to bring folks together, am I right? Even the very thought of food can unite and delight. 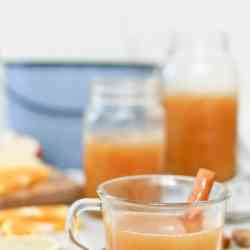 I found myself hankering for some pumpkin dip to accompany the buckets and buckets of apples we had picked from a tree. After perusing some online recipes, I decided I wanted to try to make it a little better for me, so I could eat more of it – logical thinking, right? That’s when I turned my thoughts of a creamy, delectable and healthy pumpkin dip over to my food blogger sister, Marci. 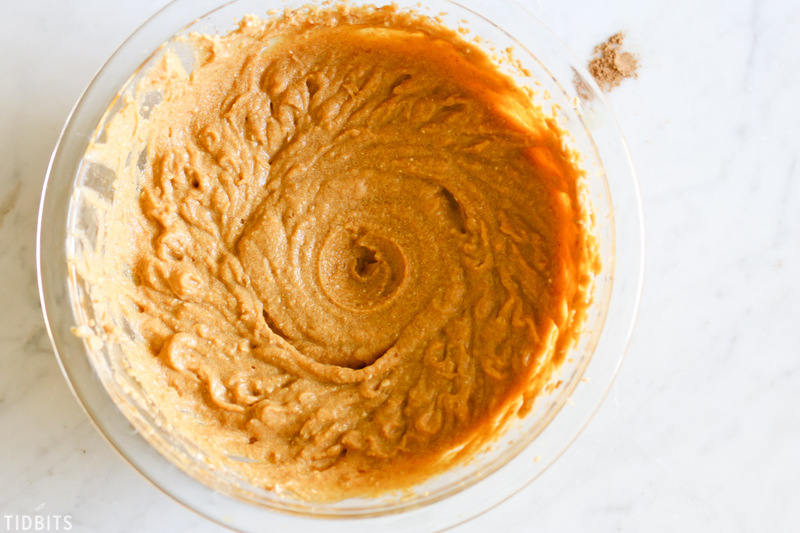 She so wisely helped me combine just the right whole food ingredients and amounts to make all my pumpkin dip dreams come true. 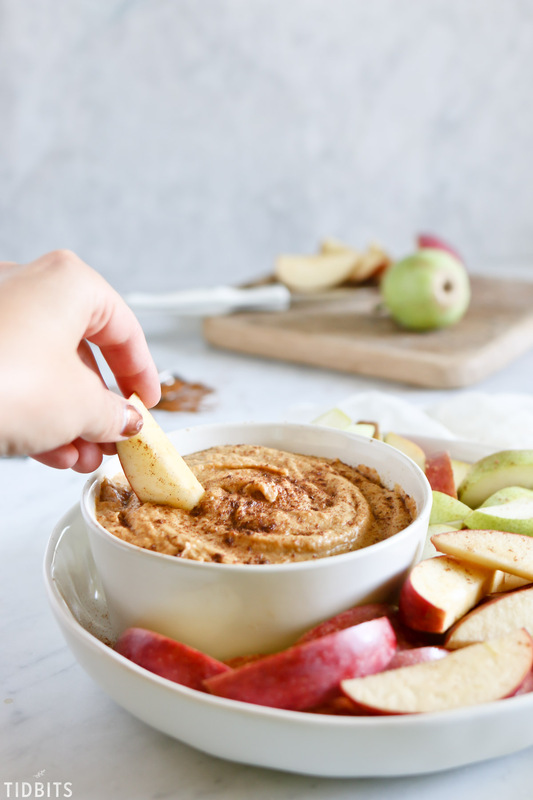 This 6 ingredient dip can be whipped up in no time, and as I witnessed in my own home with my extended family, consumed just as fast! Now if creating this Fall appetizer recipe wasn’t enough to bring sis and I together, Marci had the idea to take things even further . . . which she so often does. Like the last time when we were going to write just a small ecookbook together, it turned into a published book! And so I did. 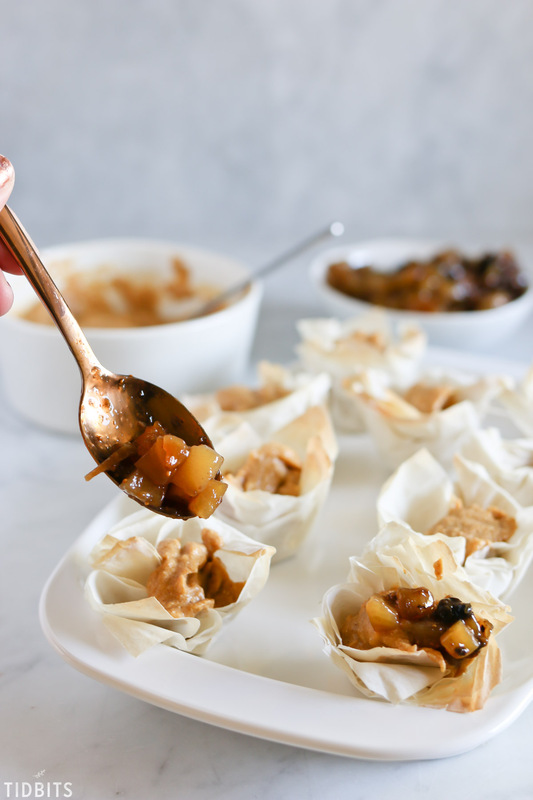 I baked the phyllo sheets in my muffin pans, filled them with my pumpkin dip, and topped it with Marci’s apple compote. Together, over food, we brought the best of Fall flavors to the table. Apple and pumpkin – in a cute little cup. 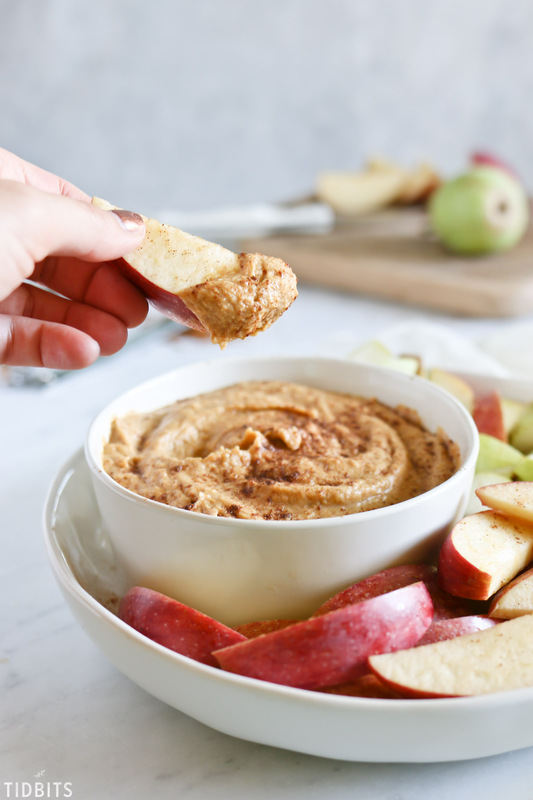 My dear blog friend, Kristen from Ella Claire, also brought some foodie masterminds together to share oodles of Fall appetizer recipes for you! You may know I don’t post on food too frequently, unless I am really excited about a recipe and have to share! Be sure to make it to the bottom of this post to come together with us and wow the crowds at your next Fall gathering. 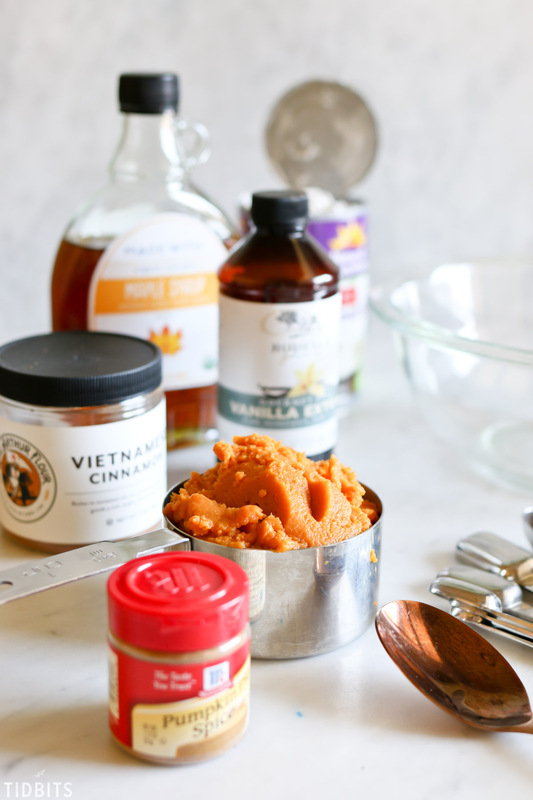 Let me now take you through the steps and give you some tips for making this healthy pumpkin dip. 6 simple and whole food ingredients come together brilliantly to make this dip creamy and better for you. The coconut cream really is the key to making this dip creamy. If you are lucky enough to find a can of coconut cream, go ahead and use that. It can be hard to find, so using a can of coconut milk works just as well. Do not buy the lite versions, as it will not have enough cream. Just spoon out the thick cream part and save or discard the coconut milk that is left. If measuring the cream, shoot for a heaping cup. Add the spices, syrup and extract to the bowl. Then mix with a handheld mixer or high speed blender. Let chill and set in the fridge for at least an hour before serving. 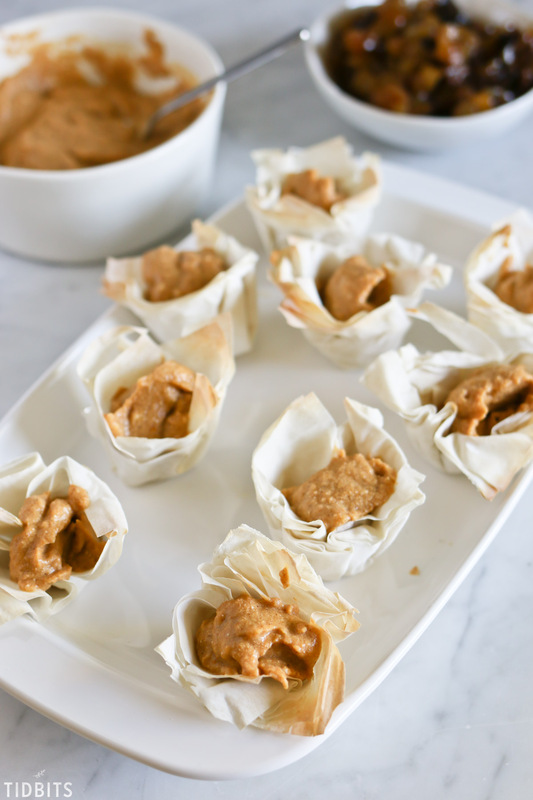 While this is so great for a Fall appetizer, it also got 8 thumbs up from my 4 kiddos as an after school snack. 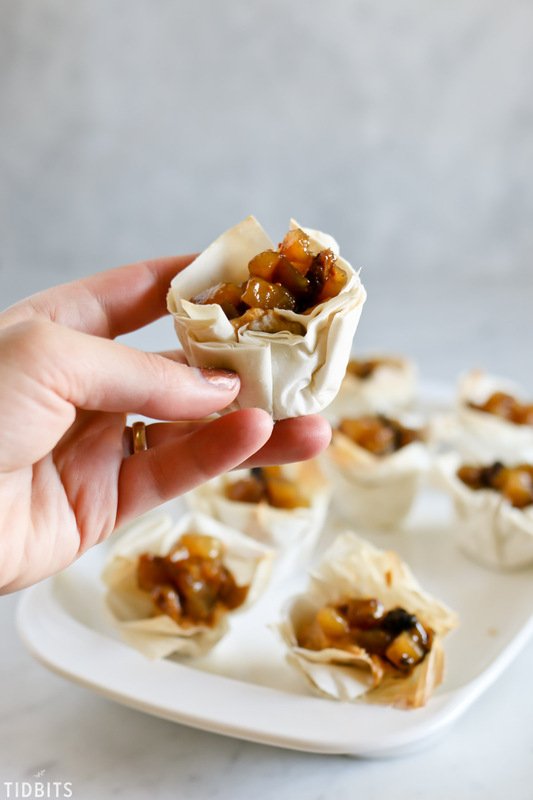 A few words on making the pumpkin apple phyllo cups – if you can find the pre-made cups in the grocery store, grab those. 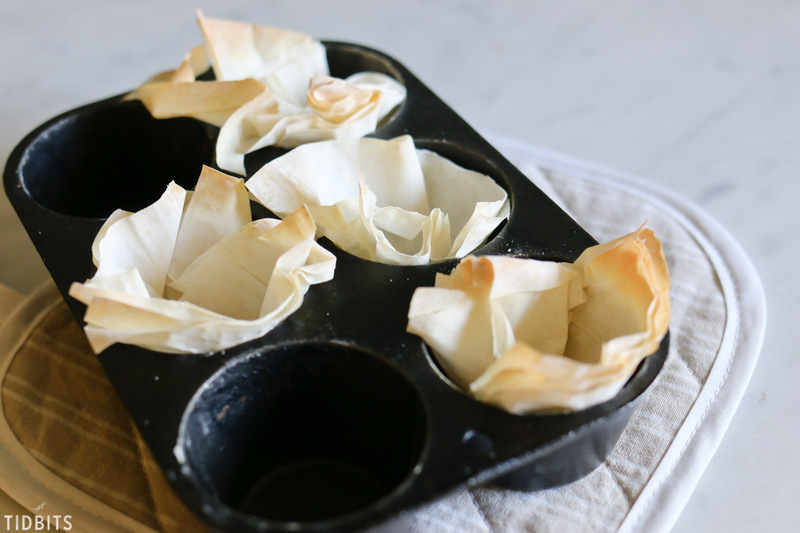 I could not, so I used the phyllo sheets. I brushed them with melted butter and cut them in squares. Then I pressed them into my muffin pans and baked until they started turning a golden brown. After they were cooled, I filled them first with the pumpkin dip. 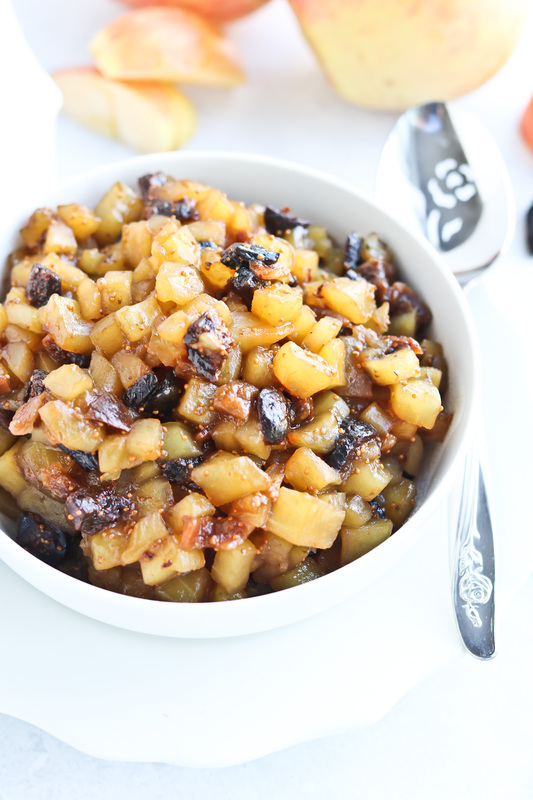 Followed by the apple fig compote. 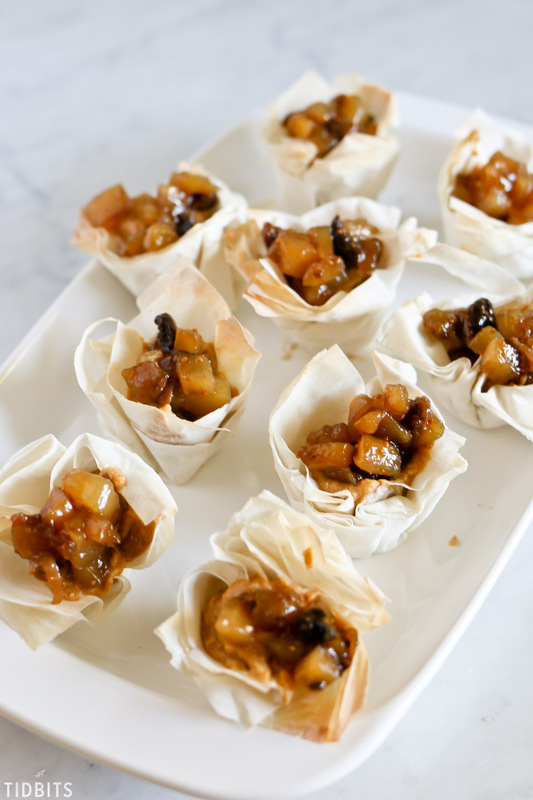 These are best served immediately, as the moisture will start to soften the phyllo sheets over time. What a burst of Fall flavors in such a small bite! 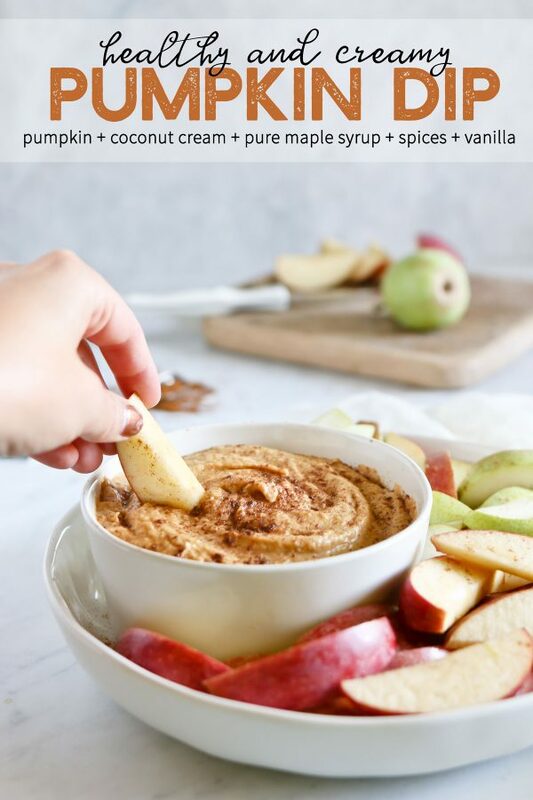 Here is the printable recipe for the pumpkin dip. 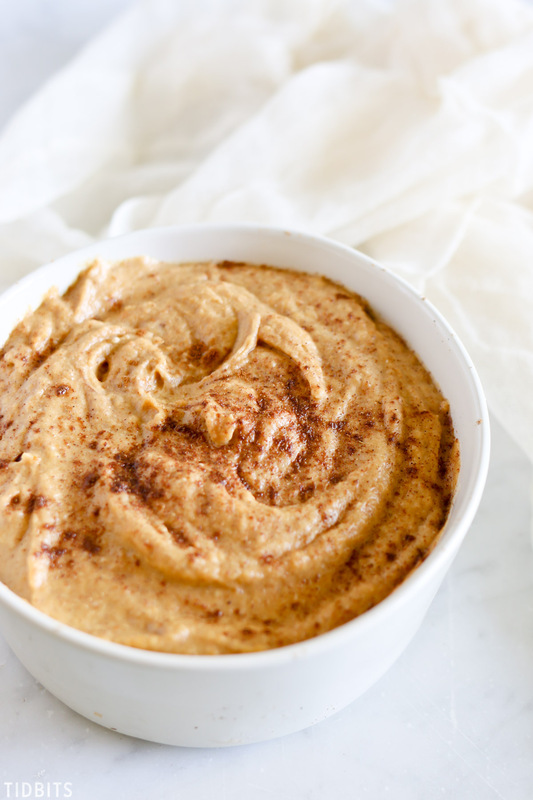 Smooth, creamy, skinny and healthy pumpkin dip! 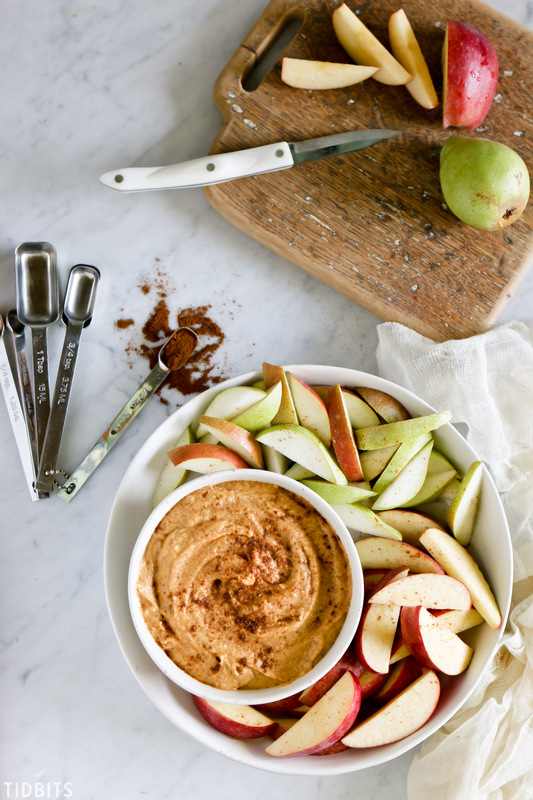 Basic whole food ingredients come together for a Fall delight! 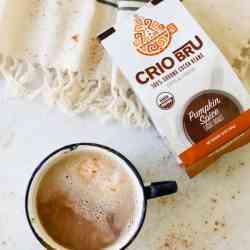 Vegan and gluten free with only a natural sweetener. Open the can of coconut milk, and spoon out the thick coconut cream from the top of the can. Place the cream in a large mixing bowl, and save or discard the milky remains of the coconut milk. Add to the mixing bowl the pumpkin, syrup, vanilla and pumpkin pie spice. 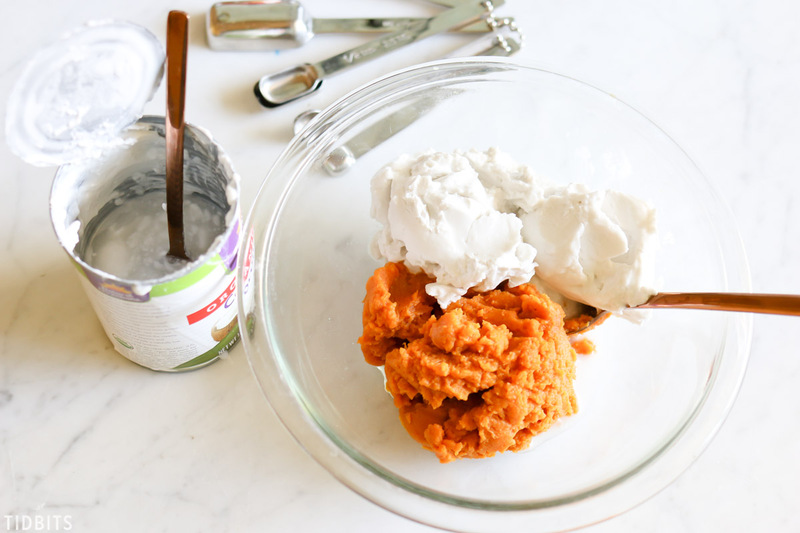 Using a handheld mixer, or wire whisk, blend the ingredients together until smooth. Place in serving bowl and cover. Refrigerate dip for at least an hour, or until serving. Be sure to visit and save all these Fall appetizer recipes, and let me know which ones you are dying to try first! Thanks for visiting today! Big Congratulations on the P.S. tucked into your email!! Best wishes to your family. Thank you!!! Glad you saw that 😉 . So grateful for your enthusiasm for us Sharylee! Yes! WooHoo! Congratulations on selling the house! Now, onto the search! I love this fall food, the decor, everything! Have a blessed day! Thank you, Thank you Ramona! Searching we are and it is so exciting! Thank you always for your kindness! 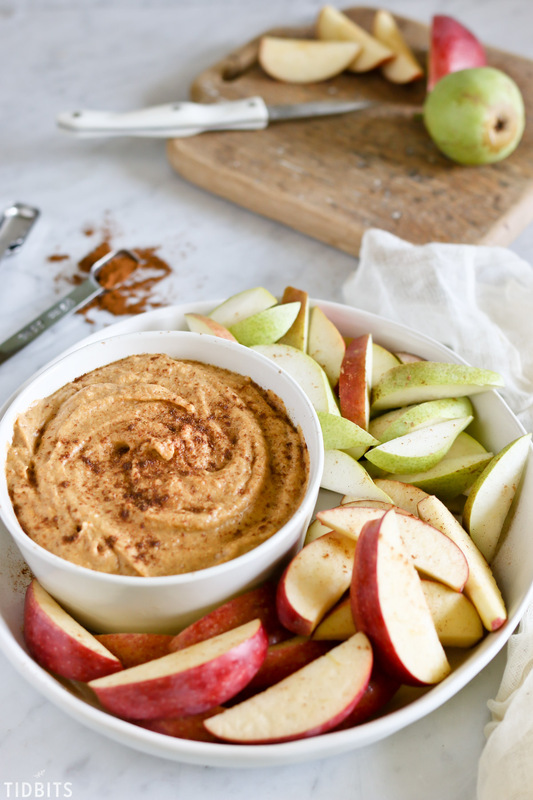 Healthy pumpkin dip!? Sign me up! 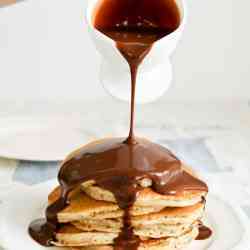 This looks DELISH!! Also, so happy to read about your house. Congrats!! I’m excited to try this! I have a question about the coconut cream. I found a can at Trader Joes. Should I use the whole can, since I’m assuming that there’s no water to be discarded? I was just worried that there might be too much coconut flavor? Thank you! 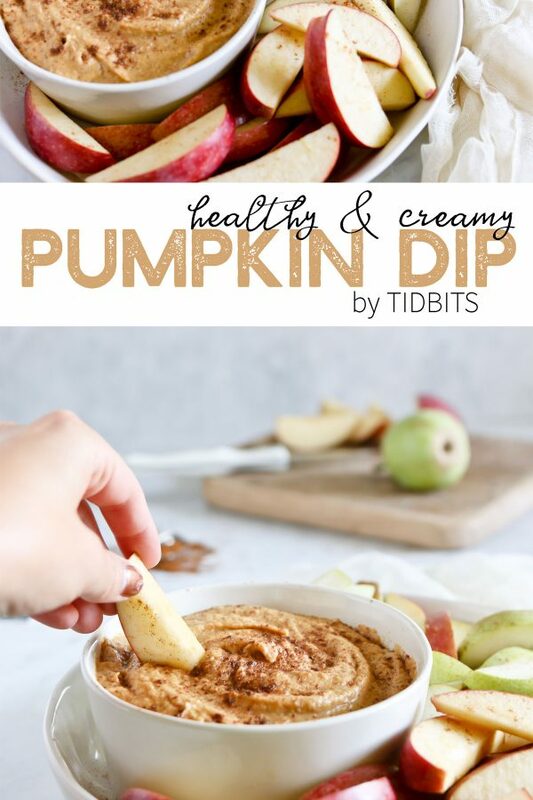 The pumpkin dip looks absolutely delicious. Thanks for sharing the recipe.